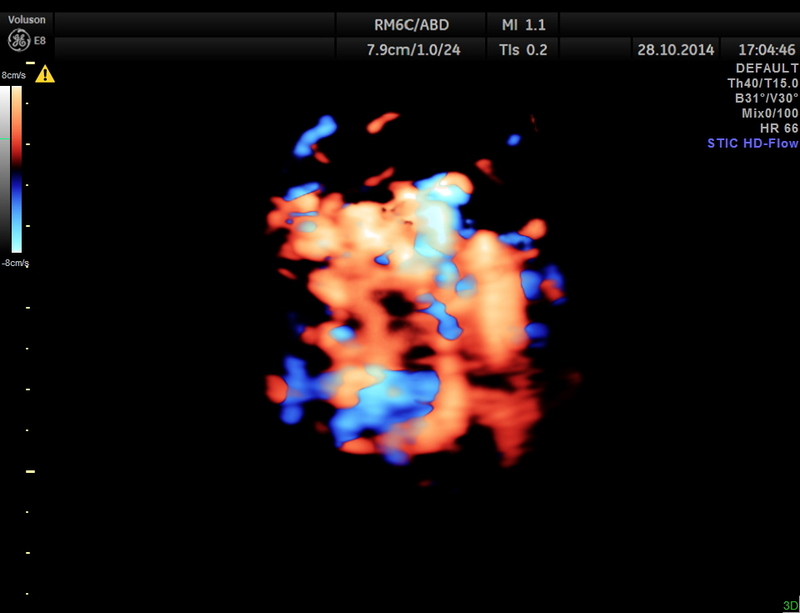 This was a 48 year old gentleman , who was evaluated for generalised tiredness. 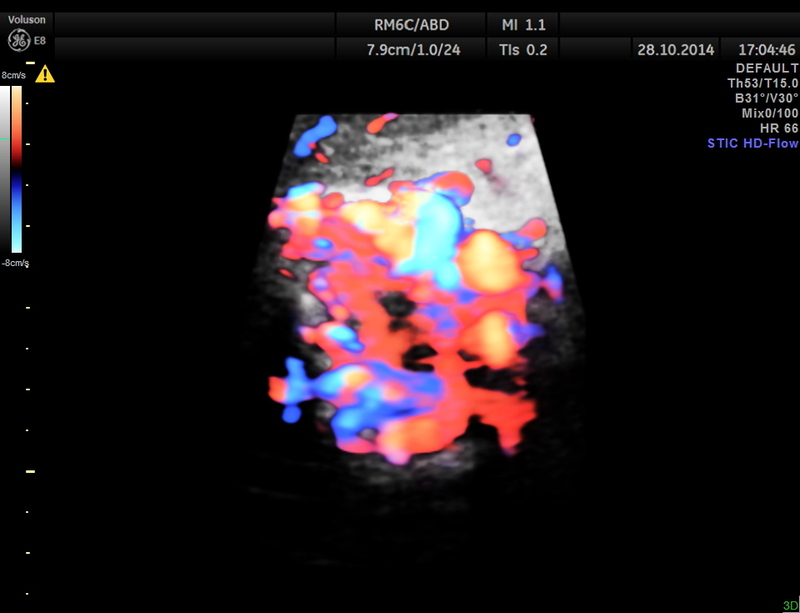 His complete blood count showed pancytopenia and clinically he had mild splenomegaly. 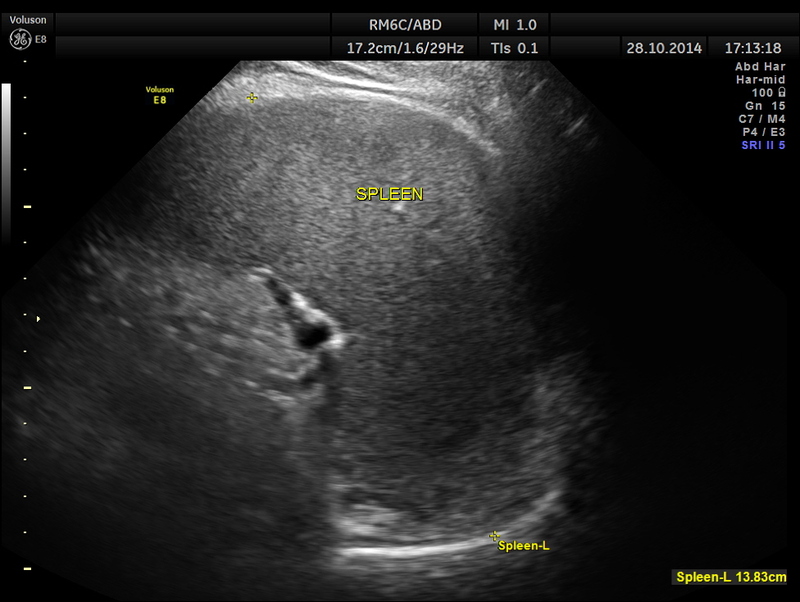 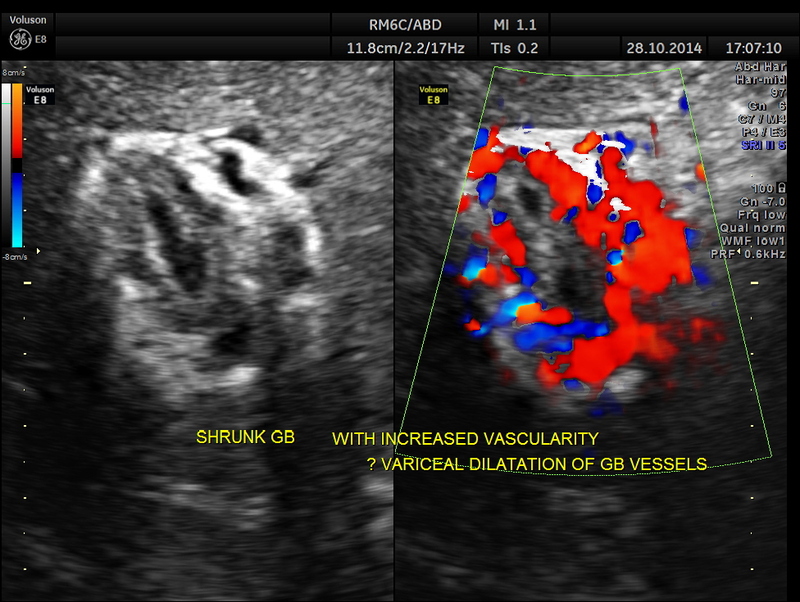 Hypo echoic linear spaces are seen around the gallbladder. 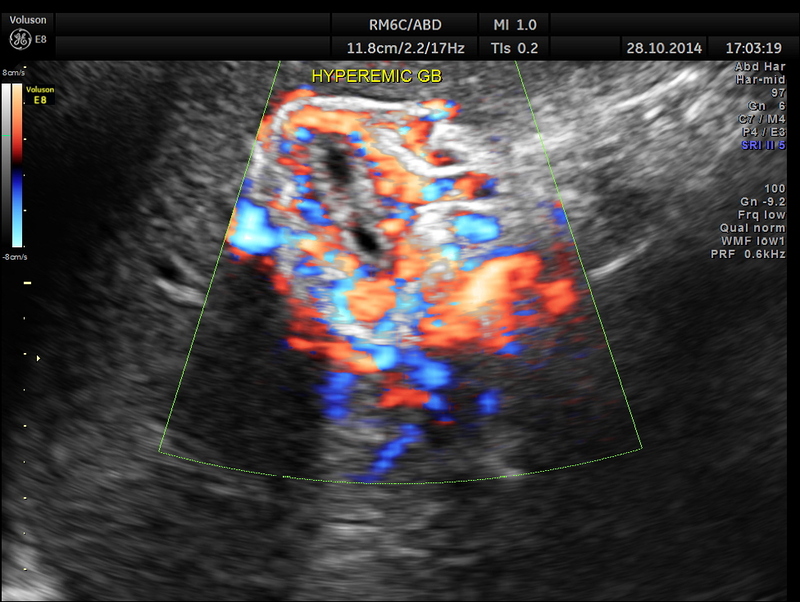 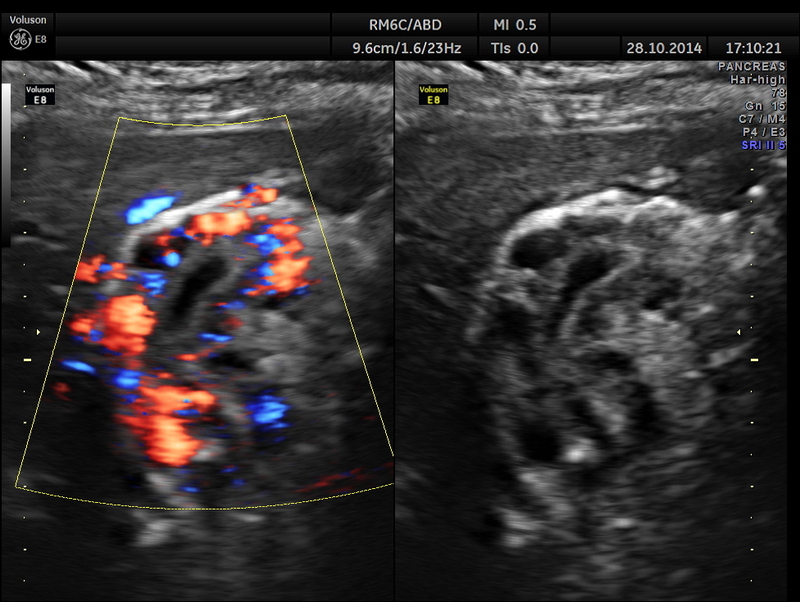 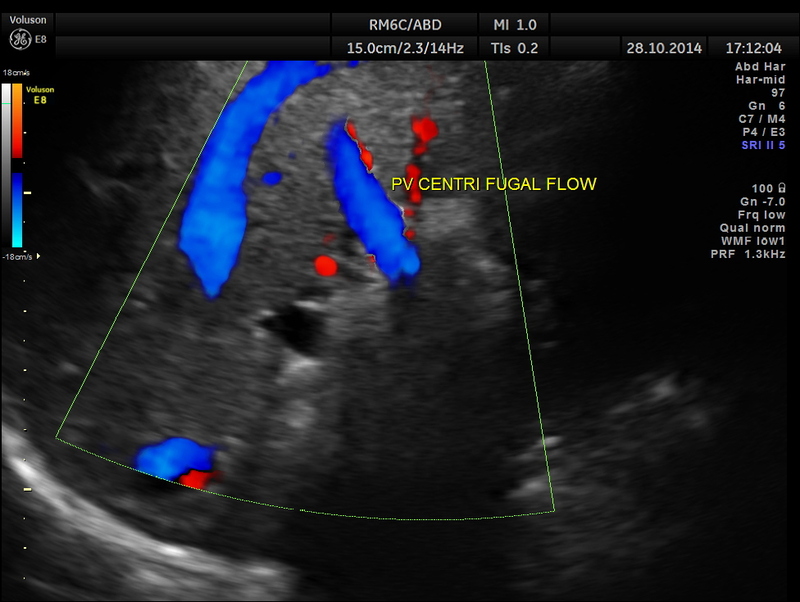 Main portal vein show flow reversal ( blue colour ) – centri-fugal flow suggestive of portal hypertension. 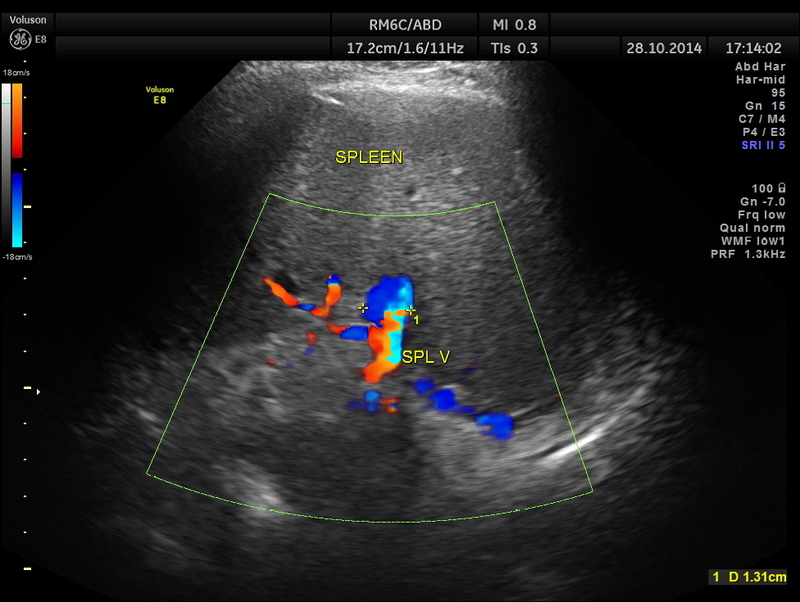 Mild splenomegaly with mildly dilated splenic vein is seen. 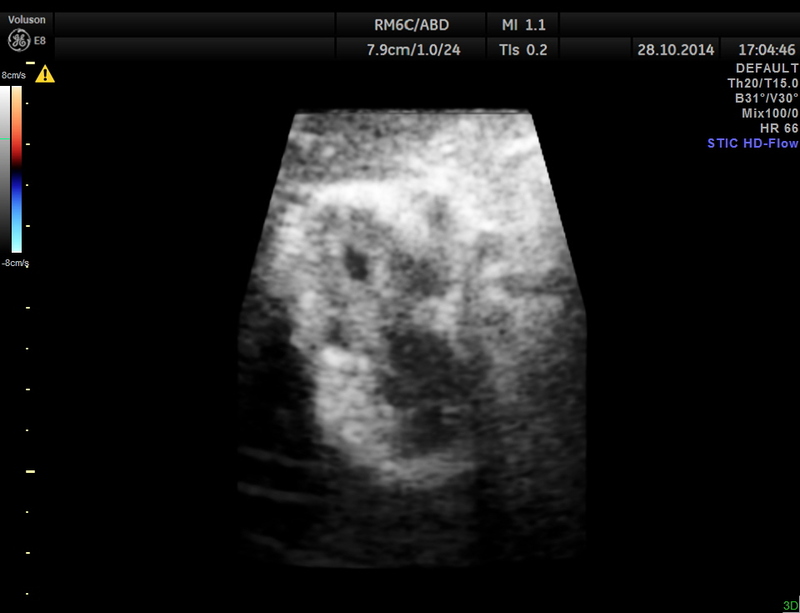 Epigastric varices are also seen. 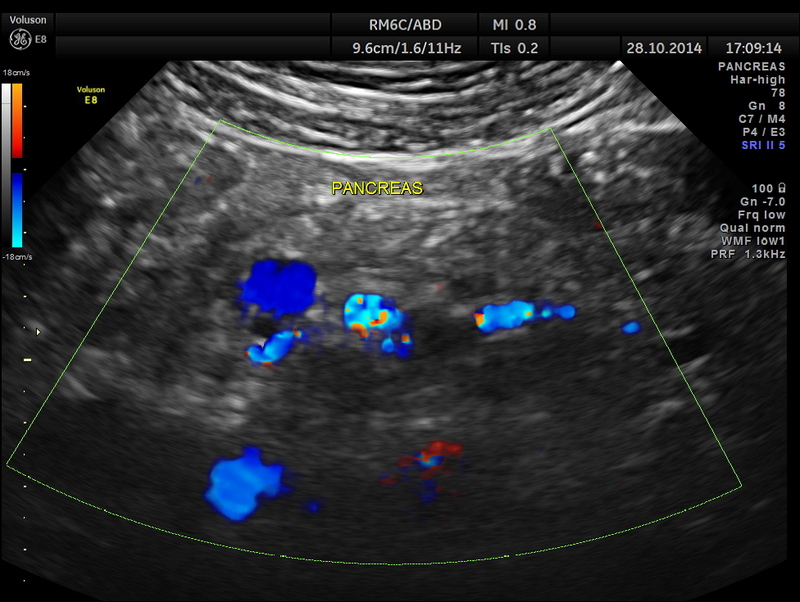 This patient has cirrhosis of liver with portal hypertension – flow reversal of main portal vein , splenomegaly , mildly dilated splenic vein and varices around the gallbladder.